To book a session please contact us. We have more information about the kinds of research support we are able to offer here. You may also find these four ways to find full text useful – PDF version available. Use this option when you want to check if we give access to your favourite journals. Use this option as part of your normal search activity. When you search CamPubMed, you’ll see the usual links to full text PLUS “@cam-find full text” icon. 3. 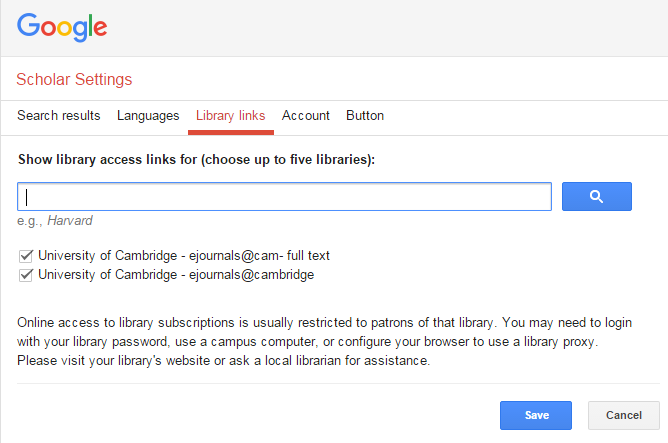 Does Google Scholar know you’re at Cambridge? Use this option as part of your normal day to day searching. 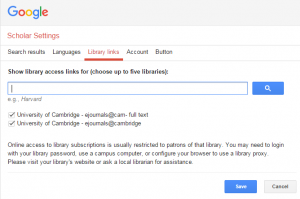 Use this option to maximise the power of Endnote/Mendeley etc to find Cambridge full text. � If/when all your references are imported into a reference manager, automate the full text checking.